Great! You'll shortly receive the download link for the ebook in your email. In the meanwhile, you can checkout some of our other articles to help you get smart about your insurance! A handbook that will help you realize not only the importance of renewing your car's insurance policy but also assist with the finer points to consider and work on while you have to renew your car insurance. And if that's not enough, the eBook also helps with some must-know information about the perfect add-ons, which will boost your car's insurance to a super-powered one - rough and roaring just as your car would want it to be! Renewal is not a choice! If you thought an insurance policy, once taken, can take a back seat for eternity, this chapter will tell you all about how unmanageable renewing a lapsed policy can be and why it could mean tough business! Online insurance in 4 easy steps! Like everything else available easily online, this chapter breaks down how buying insurance online is plain-sailing and how it is only beneficial for you to use the internet for your insurance as well! It shows you the process in just 4 easy steps! How to reduce your car premium and when not to! Pay only for what you need and use - a chapter that will help you find new ways to tweak your car premium and pay less. And yet another chapter that will tell you when you have to listen to those warning bells about discounted premiums and why you've to stay away from them! Known to be no one's favourite, these chapters help with identifying exclusions at the beginning when you have to renew your policy, so that you could reason better if you ever have to avoid claim rejections in the future and how can use certain add-ons to do so! If you don't renew your lapsing policy, you need to sweat it out later! Buying/renewing your insurance online is a piece of cake though! 3 mistakes that you make at renewal that can lead to claim rejection! Exclusions in your policy and using add-ons to work your way through them! When you drive out in your car, the chances of meeting with an accident or damaging the car or even getting it stolen are so high that you could rightfully wish to keep it locked away for eternity! That's why insurance policies help you breathe easy. Yet, according to a survey by the largest general insurance company of India - New India Assurance Ltd. - only 67% of cars on the road are insured! A whopping 33% have chosen to livedangerously, unaware of the possible danger to their cars or ignorant of the penalty of Rs. 75,000 that they might have to pay! To reiterate, what you'd need is a comprehensive policy! If you don't have one, get one! But if you had one and let it expire, renew it before you lose any more time than you already have! Insurance companies reward prompt payments with a maximum discount 10 levied on your policy at renewal. This is sometimes as high as even 50%-60%. If you let your policy expire, you lose this discount! For every expired policy, a mandatory inspection of the vehicle is done be-fore afresh policy is rolled out. It could cost anything between Rs.250 and Rs.500. Wouldyou want to pay out this amount yourself? Post the grace period (90 days that's allowed for renewal of an expired policy), the No Claims Bonus (NCB) discount is snatched out! You saved up 3 this discount by driving cautiously - would you want to let it go waste and start all over again? Now here is the challenge! Say you lost your NCB and got your vehicle re-inspected too, at your own cost. It is still no guarantee that your request for policy renewal will be approved! If the insurance company finds any existing damage, you will be required to repair that too and apply for policy renewal all over again! From gadgets to groceries, it is now insurance that you can compare, select and buy online! No more chasing your agent (or vice versa) to get your insurance policy sorted. Insurance companies, having raised standards, compete with themselves to boast of exemplary online offers and services. They have opened up to people, the advantages of making such an important decision right from the comfort of your home with a simple click of your mouse! Better pricing: Insurance companies offer lower rates deducting paperwork and operational costs that are levied on offline policies! Paperless transactions: Offline policies require lots of documentation and long-winded forms to be filled out. Online forms are more simpler, efficient and even environment saving! Easy, convenient and time saving: Insurance companies have made sure that websites are layman-friendly. Their websites' user-interface provides easy availability of information in a transparent manner, making the user finish any transaction quicker than one expects to. Policy endorsements: No more running behind agents to change particulars that's registered against your name. Online endorsements of such details are done in a jiffy with a simple self-declaration form! Policy comparison:Online policies allow you to compare their prices and other features. On Coverfox.com, you will also be able to compare these features across major insurance compa-nies also! helps you make an informed decision about your purchase. 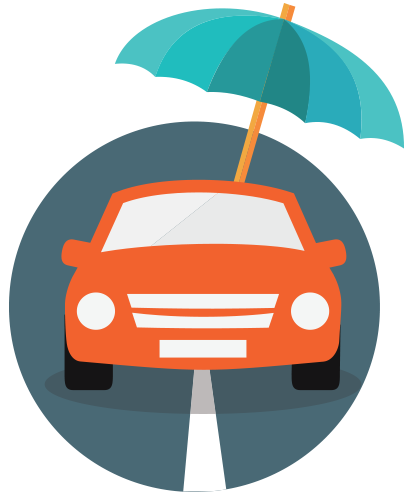 Animesh takes care of Motor Insurance business at Coverfox.com. 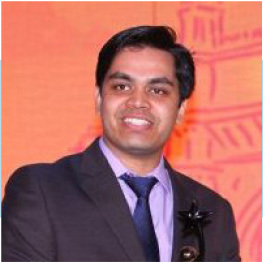 Having completed his Bachelors in technology from IIT Kharagpur, he has gained immeasurable experience with Insurance products and their process. Animesh has worked with most of the leading Insurance brands and channels in India and holds expertise in development, underwriting & pricing of Motor Products. If and when he gets enough time to turn his attention away from insurance, he loves to challenge himself with mountaineering and travelling!